It felt a little like Christmas morning at Flatpack HQ today as our shiny new programmes were delivered (all 160 boxes of them). As you may by now have heard (not that we’ve been making an inordinate amount of fuss or anything) this year marks Flatpack’s tenth birthday. To celebrate we have upgraded from our traditional newspaper and had some snazzy new brochures made, all the better to see this year's spectacular line-up with my dear. We know you simply can’t wait to pore over these babies at length, circling and underlining and forming a Flatpack itinerary. Keep your eyes peeled as brochures start appearing in venues across Birmingham city centre. 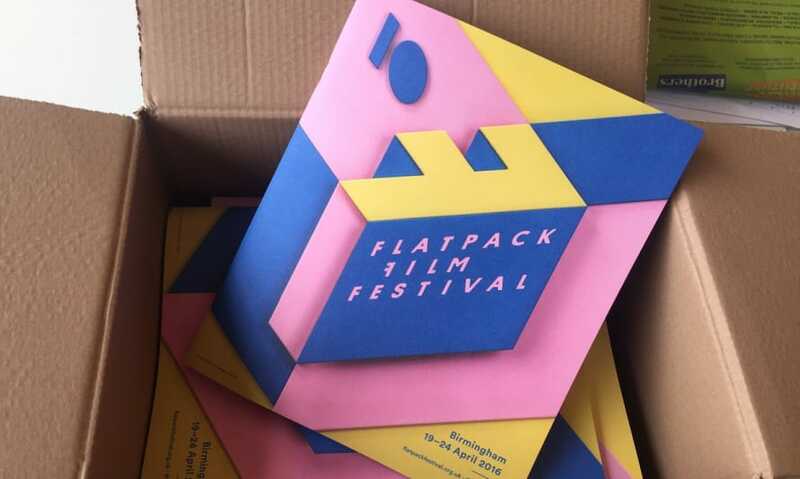 Or if you’re more digitally inclined we also have a PDF of the Flatpack 10 programme on our website.